Indira College of Commerce and Science (ICCS) – Affiliated and approved by Savitribai Phule Pune University, Pune. 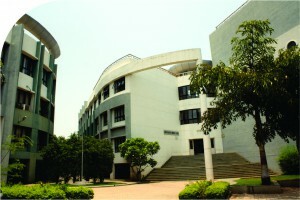 ICCS offers the Bachelor’s Program in Commerce, Bachelors in Business Administration & Computer Application, Bachelor’s and Master’s program in Computer Science . The well-architected campus is spread over 5 acres with independent departments, spacious classrooms, well equipped library with a vast collection of books, latest journals and periodicals and a huge collection of CD’s, laboratory with all new acquainted technical configurations. A well designed auditorium having capacity of 540 persons with all new technical equipments is the main highlight in which various programs i.e. academic and cultural are carried out, hostels for girls and boys having capacity of approx 690 students. Sports facilities are also availed by students which comprises of a sports room in which Table Tennis, Carrom, Chess, Bow and Arrow and various other games are played by students. Extra-Curricular activities which boost the self-confidence of students and brings out the creativity and talent in the students are carried out which comprises of participation of students in various competitions in other colleges. Debating Competition is organized every year in the memory of Late Shri Shankarrao Wakalkar, famous educationist. Gusto is a Management and IT Tech festival which is full of Energy, Excellence & Power at Par with huge number of participants from various colleges. Tech Savvy, an interclass ‘C’ language programming competition and ‘PI Approximation’ Day Math’s Quiz Competition ‘which is observed on July 22, due to π being roughly equal to 22/7 is organized every year. Co-Curricular activities include National Service Scheme (NSS) whose aim is to strengthen the student interest for rural society as well as participation in social activities that build India. Since inception, the Institutes managed by SCES, have maintained high academic standards and have successfully provided trained manpower to the industrial and services sector of the country.